Videos I Am Making Art (1971) and I Will Not Make Any More Boring Art (1971). Courtesy Electronic Arts Intermix. John Baldessari, I Am Making Art (1971). Still from the video. Courtesy Electronic Arts Intermix. 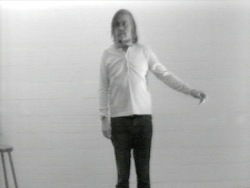 The suggestive black-and-white video I Am Making Art (1971) shows the artist performing with deadpan precision, he moves his hands, arms and entire body in studied, minute motions, intoning the phrase "I am making art" with each gesture. Each articulation of the phrase is given a different emphasis and nuance, as if art were being created from moment to moment. 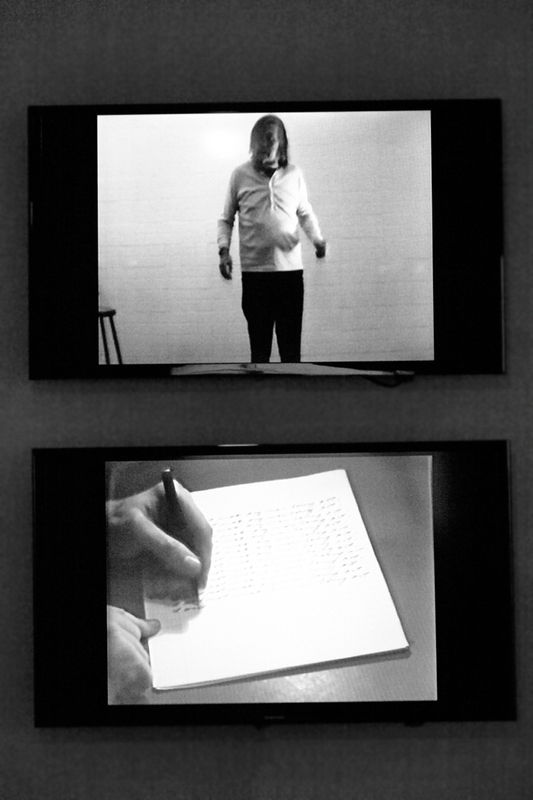 The video I Will Not Make Any More Boring Art of 1971 shows Baldessari, who like an errant schoolboy, dutifully writes, "I will not make any more boring art" over and over again in a notebook for the duration of the tape. In an ironic disjunction of form and content, Baldessari's methodical, repetitive exercise deliberately contradicts the point of the lesson—to refrain from creating "boring" art.